Darryl's™ Air-cooled builds the finest zero-mile, air-cooled Volkswagen engines for sale anywhere. Satisfied customers are all over North America, and our 12-month, 12,000-mile warranty is the best in the industry. Darryl's specializes in building new hand-crafted, 'upright'-style air-cooled engines for the Volkswagen Type 1 (Beetle, Karmann Ghia, Thing, etc. ), and pre-1972 VW Type 2 (Bus, Camper, Pickup, etc.) engines. Every Genuine Darryl's™ engine is brand new; our internal components are never rebuilt, reground, resurfaced, or reconditioned in any way. We sell only brand new, zero-mile replacement engines for air-cooled Volkswagen vehicles. Plus, at Darryl's, there is never a core charge. We don't have any use for used parts. So, while air-cooled engines are the core of our business, we are not in the core business. At Darryl's, we build an air-cooled engine for virtually every need and budget, from the reliable, stock Volkswagen 1600 engine for your vintage weekender, to the perennially-popular VW 1776 engine for your favorite daily driver, to the head-turning, fun Volkswagen 1835 engine for your custom VW trike conversion. If the upgrades you want are not listed please call us at 417-451-1959. 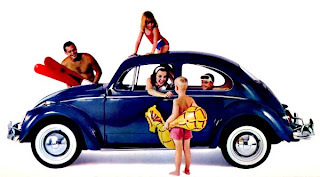 Air-cooled Volkswagen automobiles have been our family passion for over 50 years. We'd love to put our decades of dedicated air-cooled VW knowledge to work for you. Do you have a Darryl's™ experience you'd like to share? Share the love!